The most notable change that you’ll see is the adjusted layout. Our new game pages highlight art from each title showcasing them in a creative way. We have also displayed important information including overviews, trailers, screenshots and system requirements prominently on the page giving you all the information you need before deciding to install a game. Did you know that we are continuously updating the content for several of our games that are available on Arc? Every day, we have new information to share from developers as we bring new content, events and sales to the game on a daily or weekly basis. 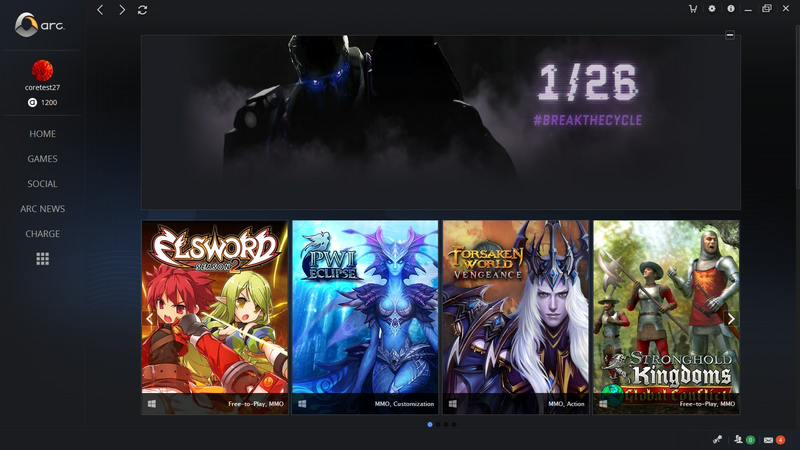 Now these updates are available on the main home pages for each game bringing you the most up-to-date information on your games right before you launch them. 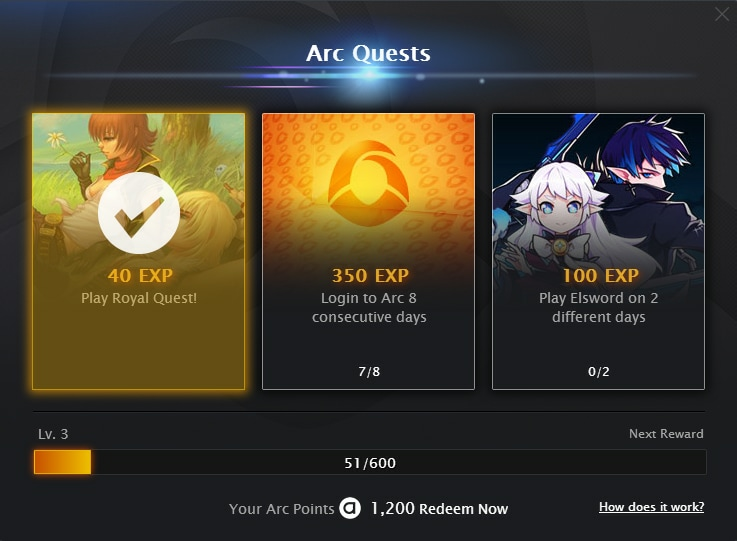 Arc Quests is one of the features that our team is most excited about for Arc 3.0. This system will give players an opportunity to take part in daily quests that will reward them with Arc Points that they can transfer to a game of their choosing. A detailed blog post for Arc Rewards can be found here. Games List - Previously the games list was placed on the left side of the client. Now, there is a library budget that is conveniently placed at the bottom left. This removes some of the clutter from the main client and brings you to your library immediately. Previously Loaded Game - When clicking home, Arc 3.0 will bring you to your most recently played game, getting you back into the action as soon as possible. Arc Profile - Your Arc profile is now viewable on the left column of the Arc client and conveniently shows your available Arc Points. Redeem Code - In the previous version of Arc, we had a redeem code function available in the main menu. 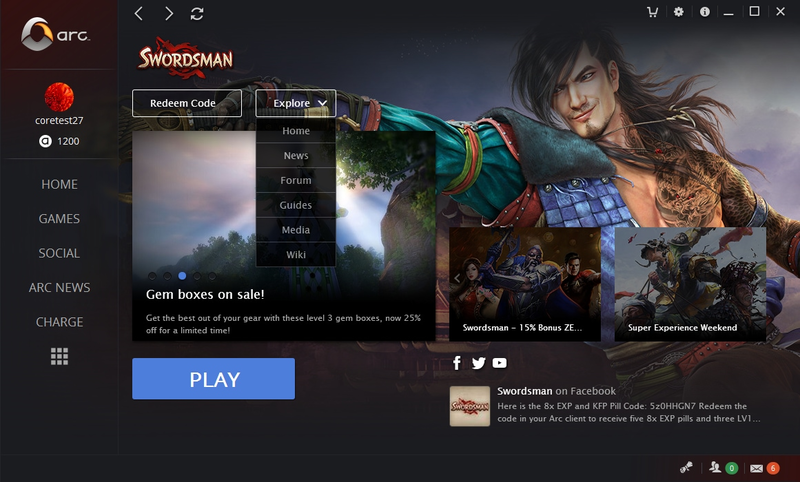 With our community growing and our teams giving items out via our social media pages, the team created an easier method to redeem codes on Arc by including a button on our games’ homepages. As always, we’ll be keeping an eye out for feedback from Arc users. Feel free to add your feedback on the new client on our announcement forum thread here.